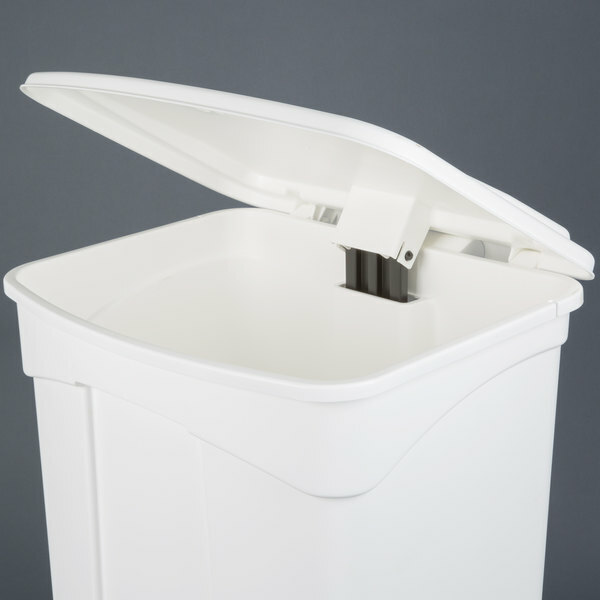 Increase sanitation in your facility with this Continental 18WH 18 gallon white biohazard trash can! 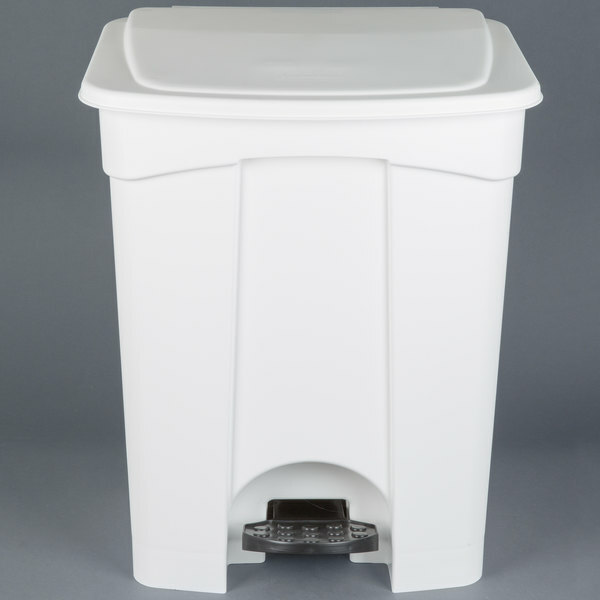 Featuring a sturdy, no-slip step pedal, this trash can allows for hands-free medical waste disposal and promotes a more hygienic environment. 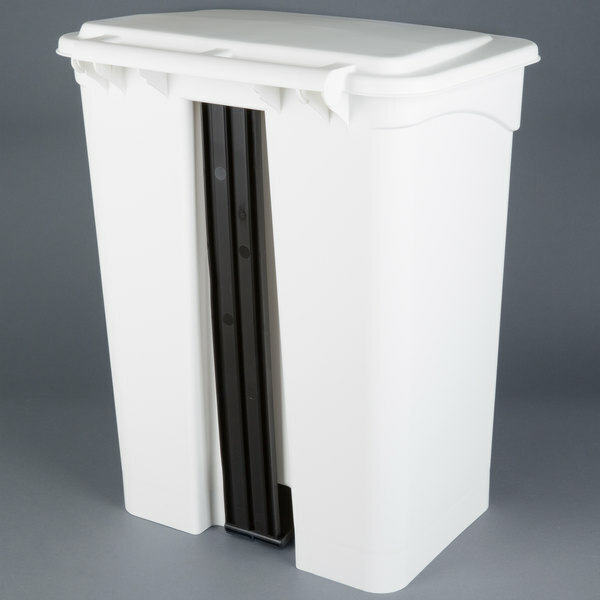 While its small size ensures an ideal fit in tight spaces, its rounded corners make it easy to clean. 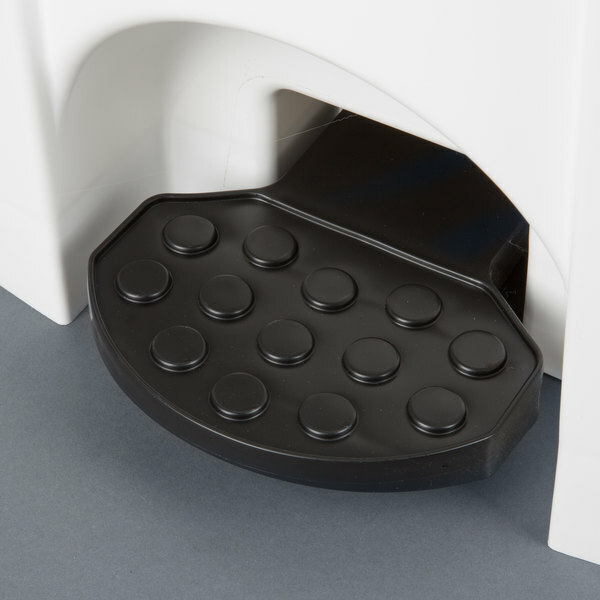 The lid also closes securely to the base to keep odors contained and conceal unsightly waste. Made of Derma-Tek plastic, this trash can is rust, chip, and peel resistant for long-lasting use. For enhanced safety, it is also fire-resistant. Its metal-free construction guarantees a quieter, smoother operation than comparable units. Plus, it includes a built-in notch to secure standard size liners within the can. 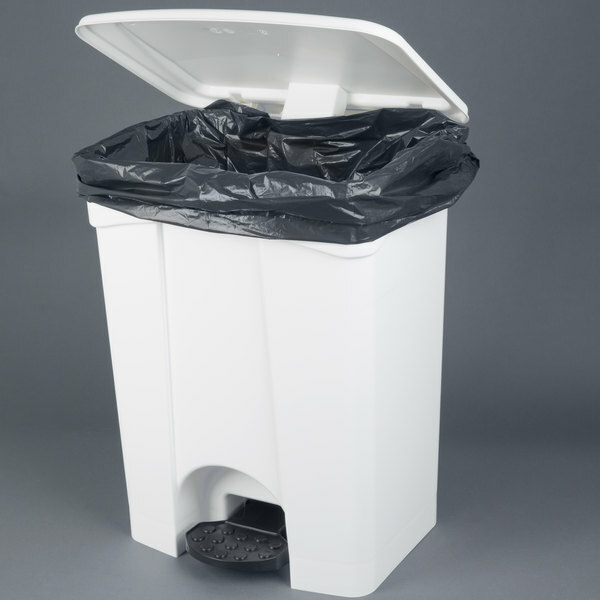 Use this convenient trash can to improve cleanliness in any area. This item is approved by Factory Mutual (FM) and meets the requirement of Standard 6921 Combustible Waste Containers. Performance criteria for containers with covers (lids) include the ability to withstand internal flames. This item protects hands against flames. This Continental 18 gallon step on waste can is great. It leaves you free to carry hands full at once. It really holds the odor in.Great for my day care.